BANGUI, Central African Republic (CNS) — Blindfolds secured tightly, more than a dozen men and women are led by their partners around leafy plants and trees in the compound of an international charity. The occasional stumble sends nervous laughter around the group of Christians and Muslims who have been paired up at random for the experiment, an exercise in building trust between communities torn apart by conflict. At the end of the session, those guiding the “blind” along cracked concrete and pebble paths spoke of having to be patient, responsible and compassionate. “We all have a need for each other,” Nicaise Gounoumoundjou, a community worker, told the group. For a long time, Hada Katidja Siba, one of the participants, was skeptical. Siba saw her house burned to the ground in 2013 when mainly Muslim Seleka rebels toppled the government in the majority Christian nation, sparking a backlash from mostly Christian militias known as Anti-Balaka. Thousands of people were killed in the ensuing ethnic cleansing and the country’s de facto partition between the Muslim northeast and Christian southwest. For Siba, a Muslim, seeing her home disappear in flames caused her to anger “very easily” and to distrust and fear Christians. “I would see a Christian coming toward me and I would just think: ‘What is he coming to do to me? Is he coming to kill me or to do something to me? '” she told the Thomson Reuters Foundation. Despite successful polls in 2016 — regarded as essential to ending the violence — and a new, elected government, reconciliation has barely been addressed in the country of 4.6 million save for grass-roots efforts like the December workshop. Florence Ntakarutimana, a trauma healing specialist from Burundi, who led the workshop, said most Central Africans have experienced some form of depression and shame from the crisis. Many suffer from insomnia, loss of appetite and bad dreams. Others react to trauma with anger and aggression. 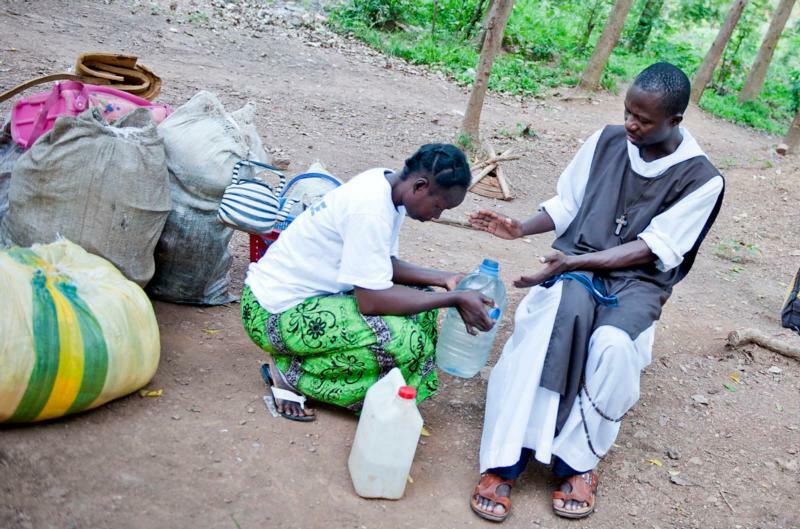 She has conducted dozens of healing workshops across Central African Republic, starting each one with a song led by a participant, followed by prayers led by a minister or imam. The Central Africans are given a chance to share stories of witnessing killings, experiencing sexual assault or losing their family, friends and homes. Many tears are shed. “When someone is not healed, he’s not ready for social cohesion. He’s not ready for reconciliation. He’s not ready for livelihood activities,” Ntakarutimana said. The Rev. Senjajbazia Nicolas Aime Simpliec, a 46-year-old Protestant, said he became “very nervous” after a close friend was killed in 2014. But he said the workshop has taught him that vengeance is not the solution, a lesson he plans to share with his community and congregation. “It’s about forgiving and living with what happened and going beyond it, so I can reconcile even with those who have killed my colleague,” Rev. Simpliec told the Thomson Reuters Foundation. The workshop involves the participants sharing some characteristics they appreciate in each other, switching seamlessly between French and the local language, Sangho. These efforts are part of the CAR Interfaith Peacebuilding Partnership, funded by the U.S. Agency for International Development. 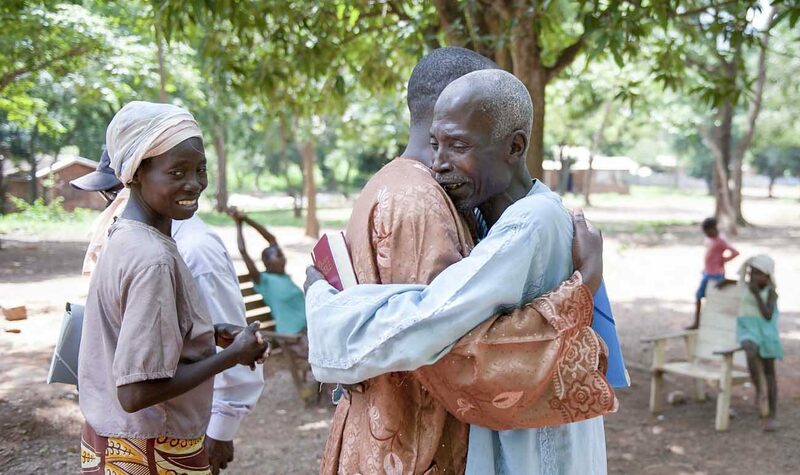 In partnership with Catholic Relief Services, World Vision, Islamic Relief and Palo Alto University, the five-year project aims to promote reconciliation by supporting local religious leaders, improving opportunities to make a living and providing psychosocial trauma healing. “Religious actors are the bedrock of society in countries where institutions are fragile,” said Andreas Hipple of Minneapolis-based GHR Foundation, which co-funded the project. “The religious leaders cannot just guide people in their faith, but also help them deal with the challenges of life,” Hipple said. Ntakarutimana said the workshop is just the start. “They will continue to have those scars, but it’s not really bleeding like a fresh wound,” she added. After meeting and partnering with Christian victims of the conflict, Siba said she had renewed hope in the future. Editor’s Note: This story was made available to Catholic News Service by the Thomson Reuters Foundation.